On this episode of The GAP Luke Lawrie and Joab Gilroy hit a milestone of a podcast for every day of the year; except when it’s a leap year – that’s next week. 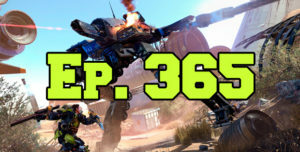 They discuss the games they’ve been playing which includes The Surge, PlayerUnknown’s Battlegrounds, Mass Effect: Andromeda, Shovel Knight, and more. In the news they talk about Project Scorpio and the specs covered by Digital Foundry, the G2A drama with Bulletstorm / Gearbox / TotalBiscuit, and a Battlefront 2 trailer is leaked. This episode goes for 1 hours and 45 minutes, it also contains coarse language.